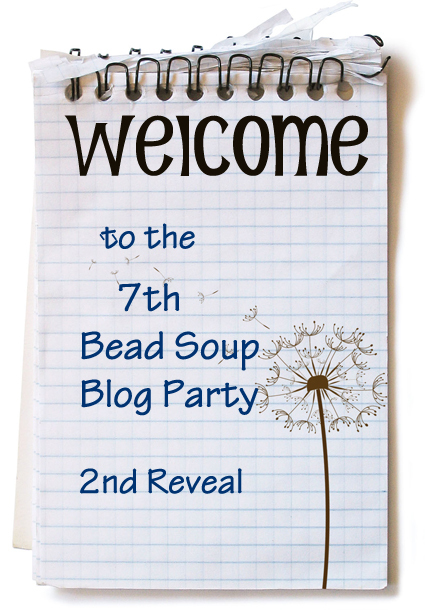 The 2nd reveal for the 7th Bead Soup Blog Party® has arrived! This is a map of all the participants. It takes hours to put something like this together, but to me, it's worth it, because it shows how something like a bead swap, joined with the internet, can create an amazing community. 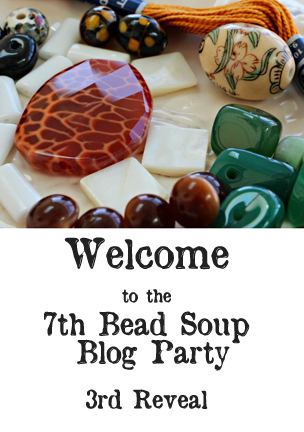 And if you'd like to join in the Facebook community, click Bead Soup Cafe and be welcomed! Where does everyone come from? Australia, Austria, Belgium, Canada, Finland, France, Germany, Hungary, Indonesia, Ireland, Israel, Italy, Kingdom of Bahrain, Luxembourg, Malaysia, Okinawa, Poland, Portugal, Romania, Scotland, Serbia, Singapore, Slovenia, Spain, Sweden, Switzerland, The Netherlands, the United Kingdom, and the United States. 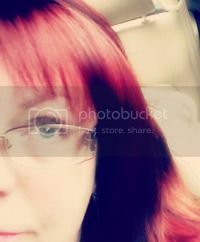 Out of all these countries, I've been to Austria, Germany, Italy, Luxembourg, and Slovenia. Pretty darned cool to think of my visits there while pinning this map!